Ring the alarm – the first trailer for the new Paul Thomas Anderson has arrived, and it looks nothing short of fantastic. 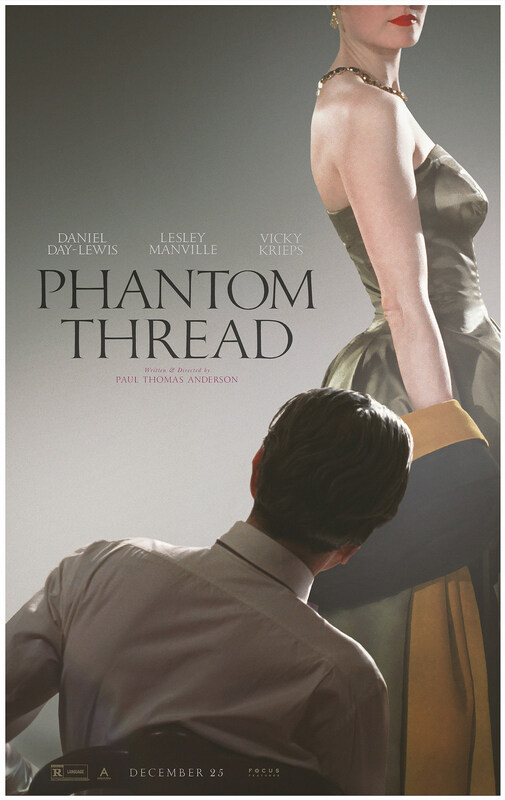 Phantom Thread, a great enough title to sell me on a film even without the names attached, has been at the top of my (and pretty much everyone’s) most anticipated of the year list for a few reasons. One, it’s new PTA, which is enough to guarantee my ticket sale. Two, the filmmaker is also serving as the cinematographer on the project, and based on this trailer, it looks pretty dazzling. Third, Jonny Greenwood is back composing the score. And lastly, it’s not just the latest collaboration between PTA and his There Will Be Blood star Daniel Day-Lewis, but supposedly the actor’s final film ever. The sad news is that this will suppoedly be Day-Lewis’ final film. Earlier this year, his reps confirmed reports that the Oscar winner was retiring from acting after the PTA film, but we’ve certainly heard that before so fingers crossed it doesn’t stick. Check out the first poster from the film below. Phantom Thread will be the best holiday gift of all and hit theaters on December 25.